Social media, especially Facebook, can be a fantastic tool for connecting with clients and generating new leads. However, if you don’t employ some strategy, the results can be counterproductive. While there are few hard and fast rules when it comes to social media these days, there are certain common mistakes you should aim to avoid in order to increase your engagement and likability online. In the real estate industry, Facebook is a great match for marketing since it’s a visual industry by nature. 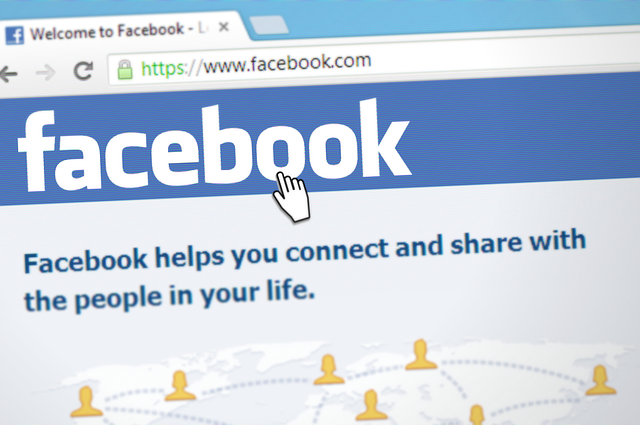 Here are 9 Facebook mistakes you should avoid in the real estate industry. In order to craft the perfect online content, you have to know who you are writing it for. It’s not enough to simply know they are on Facebook, you need to know what they are looking for, who they are, and how you can help provide them with a solution to their issues. Ask yourself the questions you need to in order to delve deeper into who your audience is. What’s their average age? Income level? Marriage status? While these won’t be entirely consistent across the board, the majority of your clients undoubtedly fall into specific demographics. No matter what social media channel you are using, you are destined for failure if you are simply posting the same type of content over and over again. Things are bound to get stale for your followers. Fortunately, as a real estate agent, you have plenty of topics to post about. Just as you must understand your demographic, you must also understand their social media behavior. What are they hoping to accomplish by liking you page? What questions can you answer for them? In general there are 10 reasons people use social media, according to this study. Think like a buyer or seller and consider what would appeal to you if you were looking at a real estate agent’s Facebook page? You would likely be looking for properties, researching information, and learning a bit more about the process. If you are constantly being inundated with a real estate agent’s brand and nothing personal, chances are you would look elsewhere. It’s important to show you are more than a brand, first and foremost you are a living, breathing, caring person. It’s important to comment and connect with your followers so they get a sense of who you really are and can begin trusting you. While you don’t want to overpromote yourself as simply a brand, you do want to showcase yourself as an expert in the industry. When buying or selling a home, your leads are going through an emotional and somewhat chaotic experience. Your expertise can help them navigate this experience with more confidence and understanding. Step back from simply trying to sell your listing and consider what you can offer with your expertise in real estate to help elevate some of the stress and worry associated with buying and selling. As we just mentioned showcasing your expertise is important and one of the most effective ways to do this is through videos. Create explainer videos and conduct interviews with mortgage financers, home stagers, and other important people involved in the buying or selling process. Video is one of the most shared types of media, especially on Facebook. Any effective marketing should help move leads further down the funnel. This is why you should be aware of the purpose of each piece of content you post. Consider the main stumbling blocks in the buying or selling process and post content that helps overcome these objections and help leads move another step closer to taking action. Sure, some posts should contain light-hearted, entertaining content, but don’t lose sight of the end goal, helping to move leads closer to decision making. All social media platforms require different posting frequencies. While Twitter can handle more than 5 tweets a day, you are likely to drive your Facebook followers crazy if you post that much. Many agents make the mistake of posting either too frequently or not enough. A great way to avoid making this mistake is mapping out the content you want to promote ahead of time. This will allow you to plan out your strategy with regularity so that you can be sure you are carefully balancing out your posts. Posting compelling and informative content is fantastic, however, when you aren’t providing any opportunity to capture lead information, you are missing out on valuable opportunities to gain new clients. One of then best ways to accomplish this is my activating lead capture forms on your website and driving Facebook traffic to your website. This is one of the ways that PropertyPulse helps agents capture and collect lead information. Now that you know what works and what doesn’t, it’s time to start creating that ideal social media content calendar and engaging and attracting new leads! Looking for some visual content to post on your page? Download our free Home Staging Infographic.